HANSA-TAUBE. Heinrich Heitmann, Aviatik und Konstructions Werkstotten, Altona. THE PRINCE HENRY CIRCUIT, 1914. MACHINES IN PRINCE HENRY CIRCUIT. The Hansa Taube is practically identical with the Gotha Taube, with the exception of the wing bracing, which takes the form of a girder of steel tubes underneath the planes. differs in no way from the usual form. It has the familiar back-swept upturned wing tips, the flexing tail plane, and the divided rudder working half above and half below the fuselage. Seats are arranged in tandem, the passenger occupying the front seat immediately behind the engine. 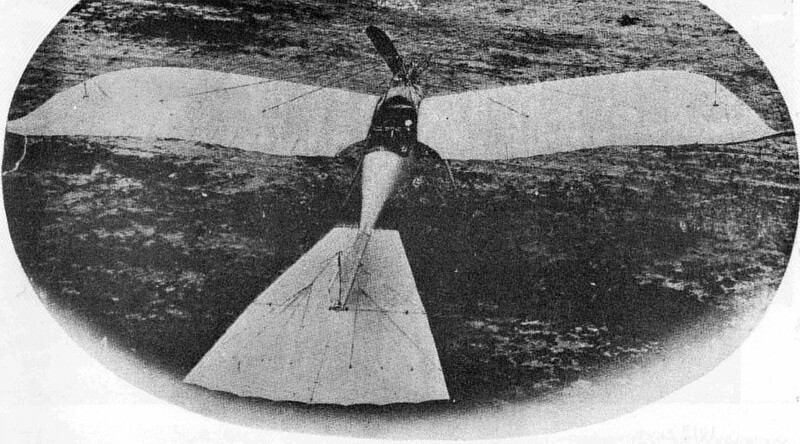 A short turtle back, extending from the nose to a point a short distance behind the pilot's seat, improves the streamline of the front portion of the fuselage. With a 100 h.p. Mercedes engine, the speed is 72 m.p.h.